Step through the stormy river and take a walk into a new world with this ayahuasca kit. Featuring two main components: Diplopterys Cabrerana and Syrian Rue. Both of these ingredients work together to create a tunnel in time which allows you to connect with the universe. Experience what was, what is and what will be when you trip with this kit. Two Powerful Ingredients. The powerful ingredients in this combination combine to create a powerful elixir that allows you to see and experience life in a novel way. Step Into a New World. The beauty of Ayahuasca is that it allows you to completely change your mind due to the fact that it transports you into new worlds It’s not a hallucination, it’s more of a trip through consciousness. Fresh, Crisp Leaves. The leaves are always selected by hand and of the highest quality. They are plucked early in the morning and dried in the shade in order preserve their freshness. High Quality Brazilian Ingredients. This comes straight from Brazil, where this ancient practice has been passed down for generations and generations. You’re getting the real deal when you order one of out Ayahuasca kits. Bend and Shape Reality. You’ll be able to bend the world and the way you see it when you take Ayahuasca. Making this blend is easy and will unlock doors into new worlds. Stop flowing down the river of life; it’s time to part the waters and experience life in a pure, natural and traditional way with a vision from these ancient plants. Order this ayahuasca kit now. 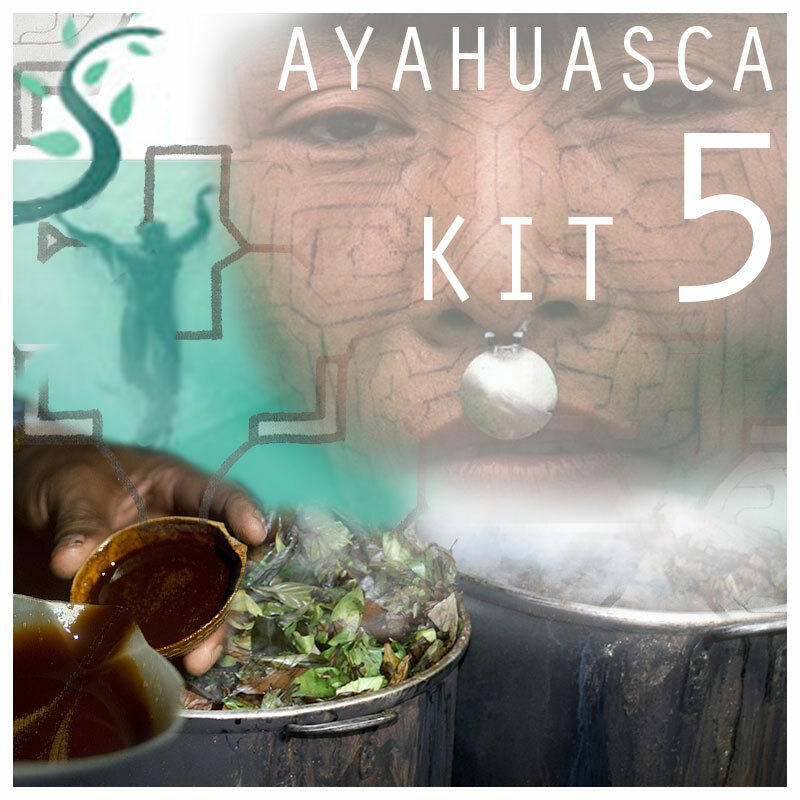 Share your experience about Ayahuasca Kit 5 with other customers. Submit your tips or thought on this product, be detailed and specific.